The start of the holiday season is an exciting time for the kids. It is the time to meet family and friends, have fun and laughter, exchange best wishes and gifts… the list of exciting things to do is endless. Children love to receive gifts. But they have to rely on their parents, to give gifts to their friends and their favorite family members. 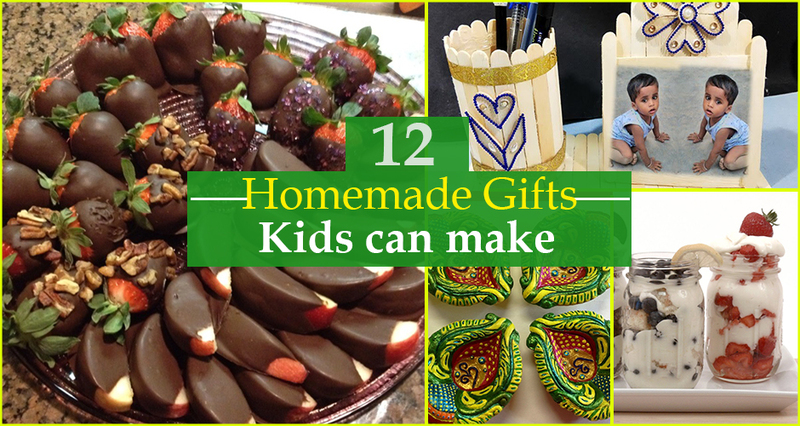 But kids can always try their own ideas to make handmade gifts for their near and dear ones. Not only will the receivers of the handmade gift appreciate the efforts and creativity of the children, but it is an ultimate expression of love and affection to present a handmade gift to the people you love. However, it is important to teach the kids that they should try to make useful and thoughtful gifts. Such gifts will not only be treasured but will also be put to use by the receivers. We bring to you some interesting ideas for your children to make handmade gifts suitable for an Indian household, this holiday season. Well, the gifts suggested can be made throughout the year for all occasions. The holiday season is the best to start crafting the gifts. These are very popular during Diwali season. However, your children can make these suitable for all festivals. For Christmas, they can decorate the lantern with pictures of Santa and Xmas trees, for New Year they can decorate it with glitter and pom-poms etc. Their grandparents, uncles, aunts and any family member would be excited to hang these lanterns at home. The kundan rangolis are a new rage and no function or festival goes without this adornment. This can be easily made and can be used multiple times. Take a sheet of paper and make your children draw their design. Paste a transparent plastic sheet on the top of the paper. 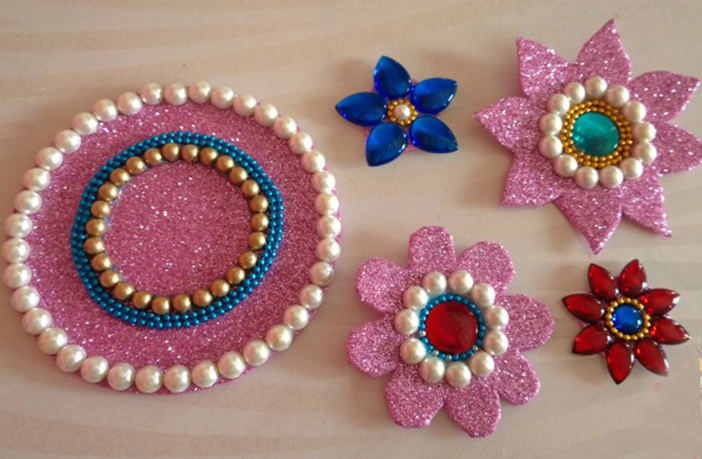 Decorate the designs with glitters and embellishments. Cut the plastic sheet according to the layout of the design and its embellishments. This would be the loveliest gift for your aunt or granny or your girl cousin. 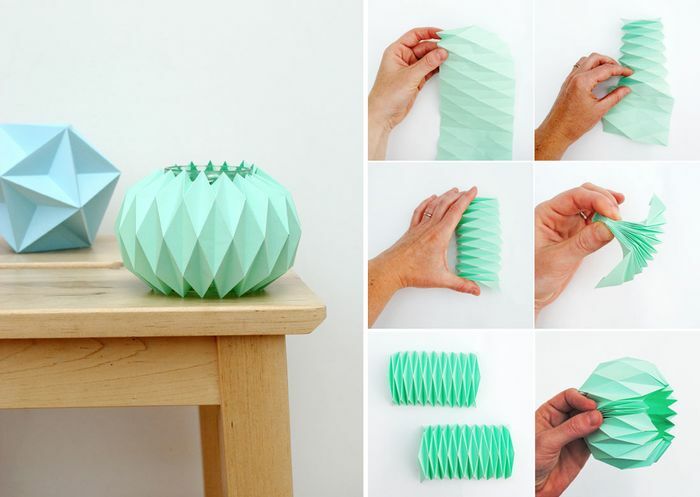 Cut triangular strips of paper. Apply glue on it and roll it tightly on a toothpick to form a bead. Gently remove the bead from the toothpick and allow it to dry. Make as many beads as required. 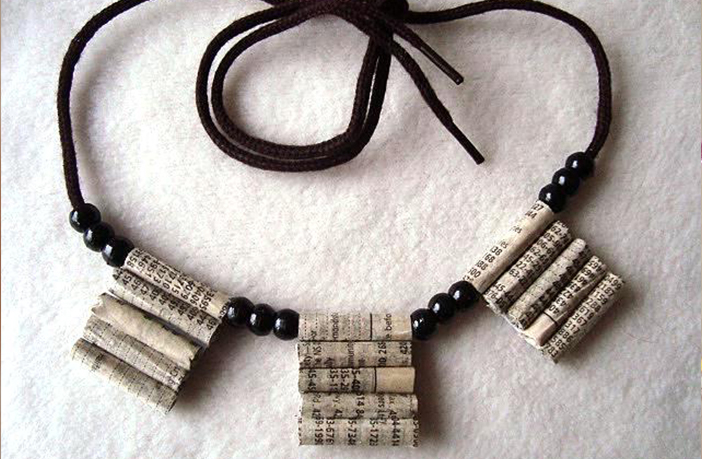 Take a thread and string the beads to make a necklace. Let the kids use their own imagination to make beads of different shapes and string it in a creative manner. Take 2 bundles of ice cream/candy sticks, thin cardboard and glue. For photo frame, cut a square from the cardboard and paste the ice cream sticks on it along the edges. Paste at least 3 rounds of candy sticks on each side. For the pen stand, cut a rectangle from the cardboard and roll it into a cylinder and stick it together. Stick candy sticks all around the cylinder and allow it to dry. To assemble, cut a rectangle big enough to hold both the photo frame and pen stand, from the cardboard. Paste the candy sticks throughout the rectangle, so that the entire area is covered. 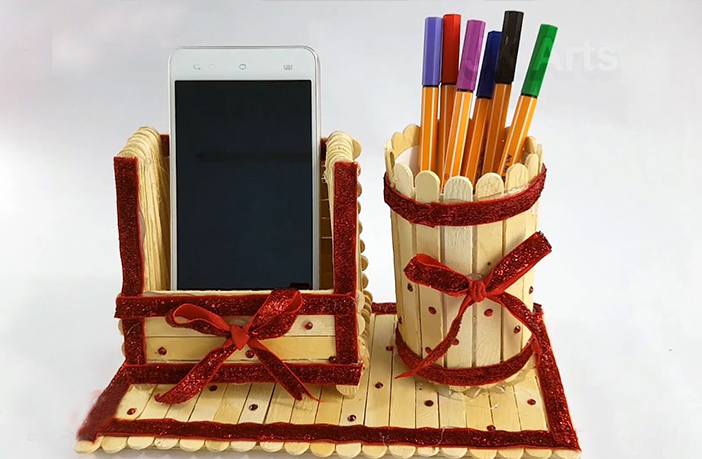 Stick the pen stand and photo frame on it. Insert your favorite photo in the frame and gift it. Pooja thalis are a must in all festivals and gifting one would be very useful and treasured. Take a plastic plate and paint it with a single color of your choice. Allow it to dry. Draw designs on the plate using a pencil. Stick glitter ad embellishments on the plate, according to the design drawn. Melt some compound dark chocolate in the microwave. Spread butter paper on a plate. Dip your favorite cookies in the chocolate and allow it to cool. Wrap it in silver foil. 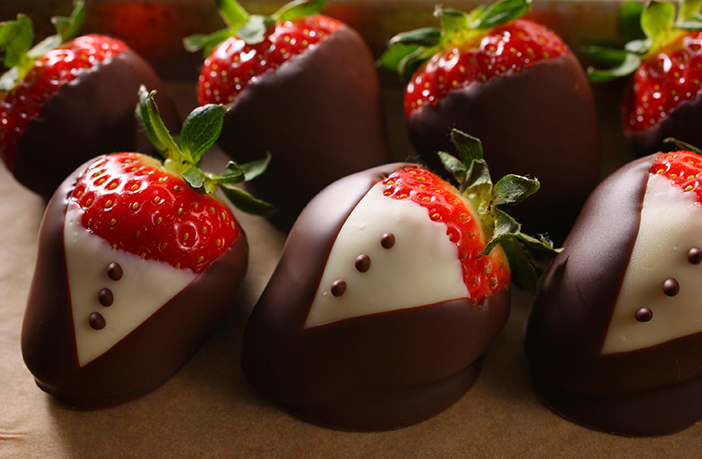 Dip fruits like cherries, dry strawberries or even dry fruits in chocolate. Allow it to cool and wrap it in silver foil after cooling. Take a clean terracotta pot in any shape of your choice. 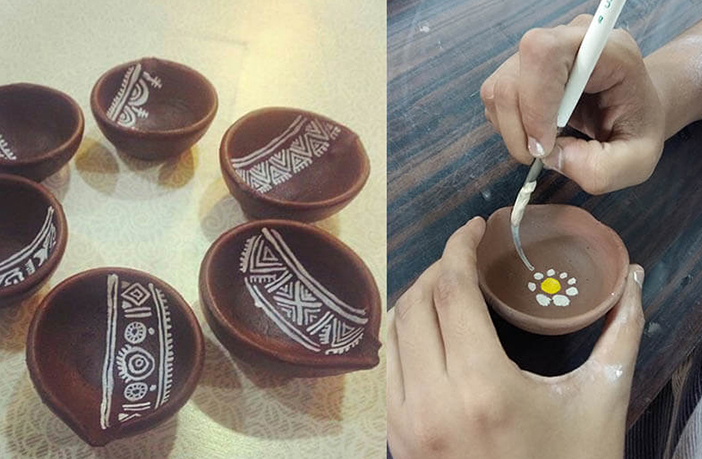 Using a pencil, draw any design of your choice on the pot. Use acrylic paint to paint the pots according to the design. Sprinkle glitter or use embellishments to decorate make the pot. 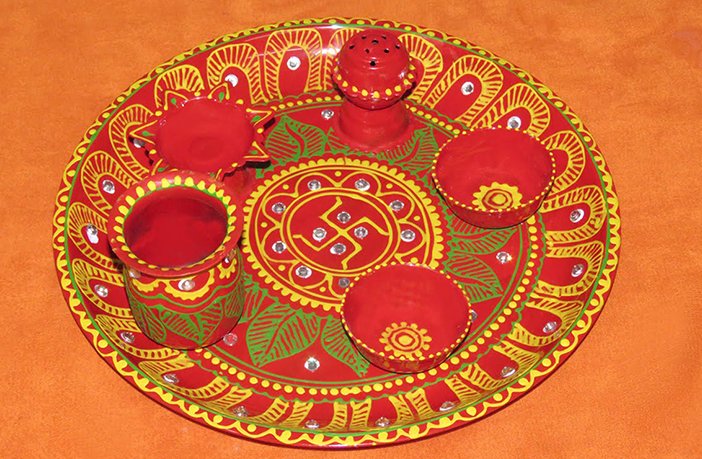 You can use the similar procedure to paint diyas also. Choose origami papers of different colors. Make simple origami flowers like tulips, roses, lavender and lily. 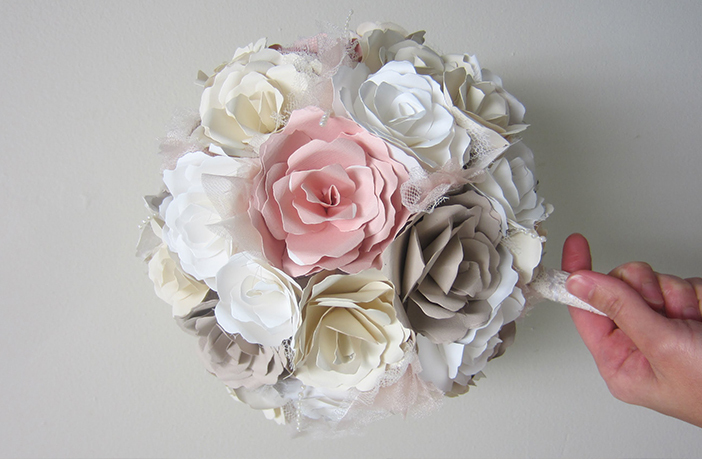 Arrange all these flowers in a vase or in a hand-painted pot. Take a plain handkerchief. Draw a simple flower design in one of the corners. You can even write the initials of the person to whom you intend to gift the hankies to. Take silk threads or embroidery threads which don’t fade color. 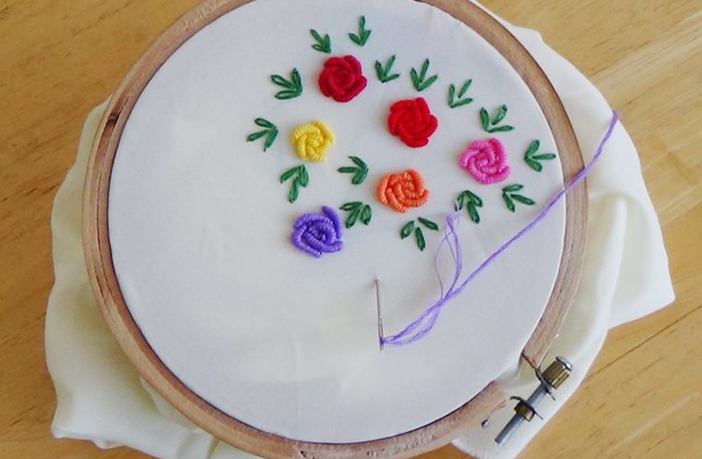 Use simple embroidery stitches on the design. This will make a pretty gift for your aunts and girl cousins. 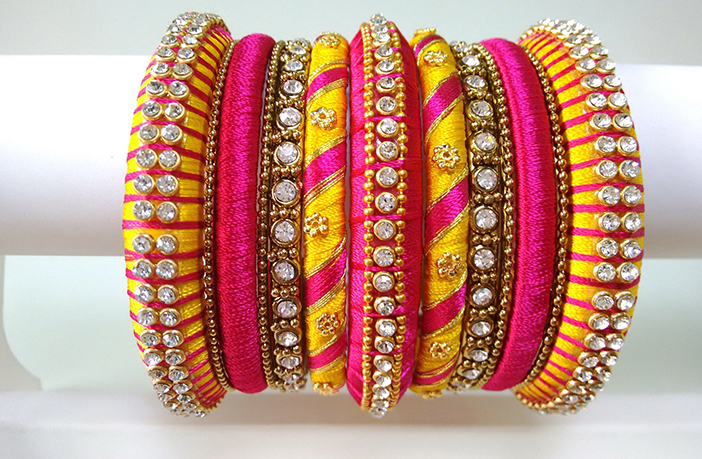 You will require old metal or plastic bangles, colored silk threads, embellishments and fabric glue. Cut 25 equal lengths of the thread. Hold it together and rub fabric glue on both the edges. Stick one of the edges on the bangle and wind the thread along the entire bangle. Seal the edges. 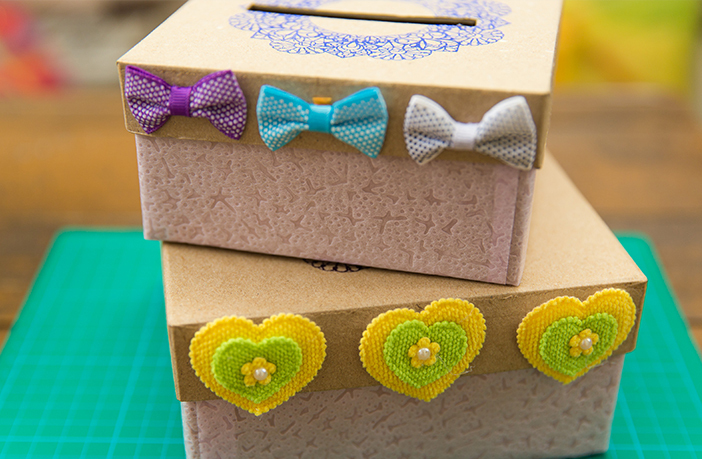 Decorate it with embellishments. Take an old metal or plastic container. Seal the lid with wax or glue. Make a vertical hole in the middle of the lid which is big enough to slide a coin inside. Paint the entire box with the color of your choice and allow it to dry. Decorate it with stickers of your choice or paint any random designs on it. 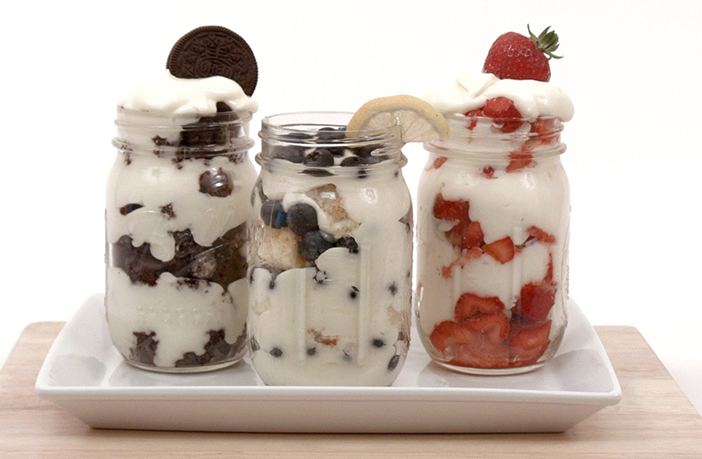 These desserts are easy to assemble and your kids can put maximum creativity in food decoration. You will need a clean jar, 2-3 slices of cake, fresh fruits and nuts, cream, butter, icing sugar and strawberry/chocolate sauce. Put sugar, butter and cream in a bowl and blend it together. Slightly crumble the cake and put it in the jar first. Arrange nuts on the top of the cake. Pour the blended cream on top of it. Arrange the remaining cake and nuts on top of it and pour the sauce and the blended cream. Top it with fresh fruits.